Perfectly spiced molasses cookies are flavored with ginger, cinnamon, cloves, and (of course) plenty of rich sticky molasses! They have slightly crisped, sparkling sugar coated exteriors and soft, chewy interiors. This Molasses Cookie Recipe is the softer, chewier cousin of the Gingerbread Cookies that I shared the other day. They’re a great and easy-to-make cookie option for your holiday cookie tray. Cookie Season is in full swing! Which cookies will have the honor of being on your cookie tray this year? For me, these Molasses Cookies definitely make the cut. They have a place reserved right beside my Sugar Cookies, Chocolate Chip Cookies, and Peanut Butter Blossoms, to name just a few. 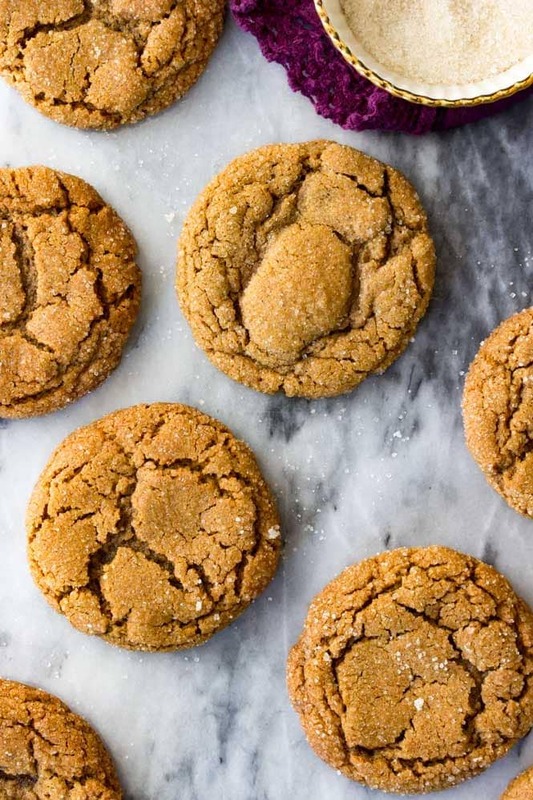 With their crackly sugared surfaces, slightly crisped edges, and soft, so soft, chewy interiors, Molasses Cookies are the treat to leave out for Santa if you have something particularly pricy on your wishlist this year. They’re brilliantly flavored with real butter (no shortening! ), molasses and dark brown sugar, and spiced with ginger, cinnamon, and cloves. These are eat-by-the-fireplace-on-a-snowy-Christmas-Eve cookies, and they taste like the holidays. Cozy, molasses-y holidays. The dough for these cookies will need to be prepared a little bit in advance, as it will need to chill for at least 3 hours (you can chill it longer, sometimes I like to make the molasses cookie dough the day before I plan to bake, and chill it overnight). Because of the molasses, the dough is a little bit sticky, and chilling is required to make the dough manageable and easy to roll the dough into balls. The chilling period also allow the flavors to really develop, giving you the best, most deeply flavored molasses cookies. You’ll roll the dough in granulated sugar for their sparkly surfaces. I like to use a coarse or turbinado sugar, but regular granulated sugar will work, too. 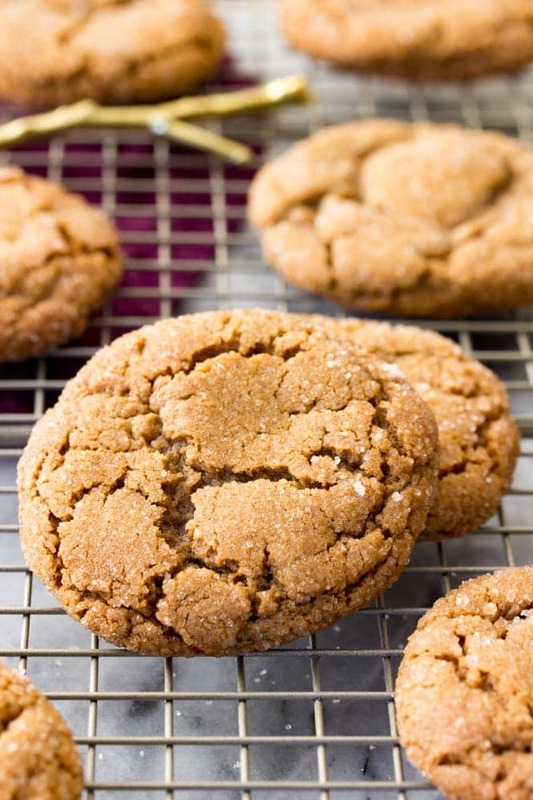 Are Molasses Cookies the Same as Gingersnaps? 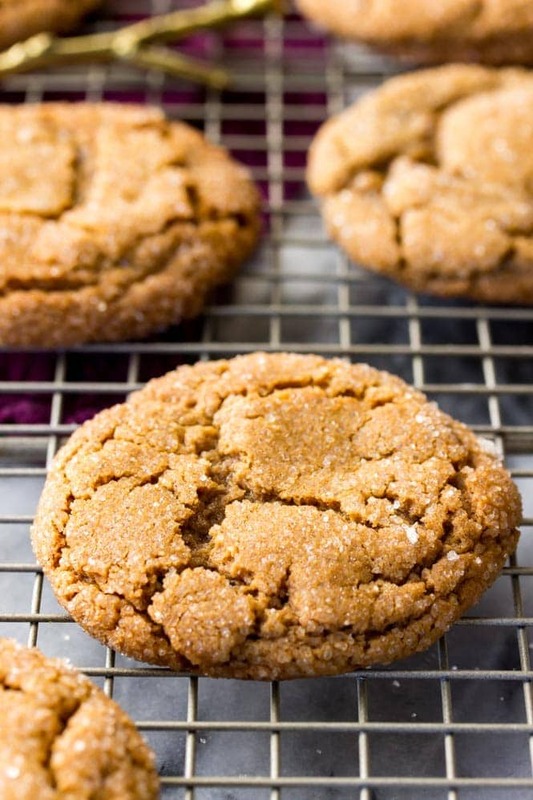 No, Molasses Cookies are not the same as Gingersnaps. 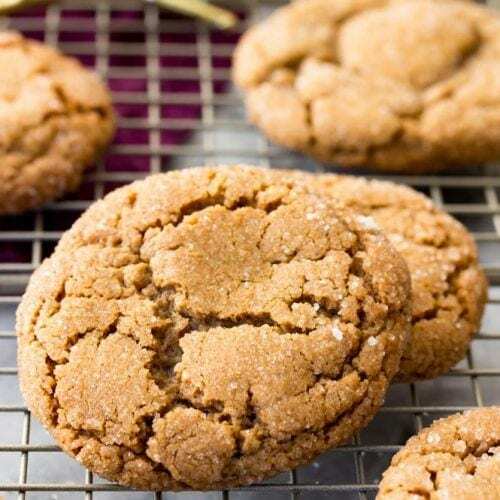 While the flavor is quite similar, Gingersnaps have a spicier, more pronounced ginger flavor while molasses cookies have a deeper rich molasses flavor. Another key difference: Gingersnaps are typically thin and crisp and snappy, while my Molasses Cookies are thick, soft, and chewy. 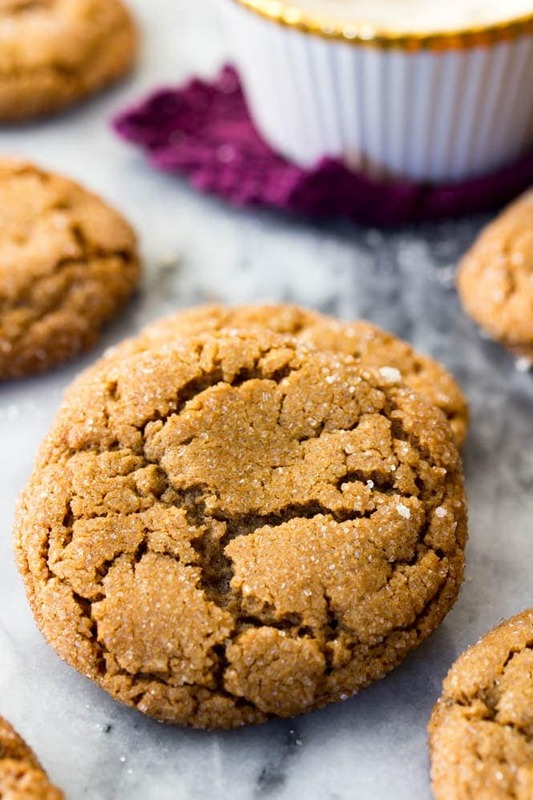 These perfectly spiced molasses cookies are soft, chewy, and rolled in sparkling sugar. They're a great and easy cookie for your holiday cookie tray! Combine butter and sugars in the bowl of a stand mixer (or you may use a large bowl and an electric hand mixer). Add egg, stir until combined. Add molasses and vanilla extract, stir well until ingredients are combined. In a separate, medium-sized bowl, whisk together flour, cornstarch, baking powder, baking soda, ground ginger, ground cinnamon, ground cloves, and salt. Gradually add the dry ingredients into the wet ingredients until completely combined. Cover dough with clear wrap and chill in the refrigerator for at least 3 hours. Once dough has chilled, preheat oven to 375F (190C) and line a cookie sheet with parchment paper. Roll dough into heaping Tablespoon-sized balls and roll in sugar to coat completely. Place at least 2" apart on prepared cookie sheet and bake on 375F (190C) for 10-11 minutes. The cookies should look baked but have slightly under-done centers. Let them cool completely on the baking sheet to finish cooking -- this will make them very soft. I originally shared this Molasses Cookie Recipe 12/01/2017. Post updated (recipe remains the same) 12/15/2018. Next Post 12 Must-Try Christmas Cookies! These cookies turned one of my son’s favorite.. It was a surprise for me since the little one is a chocolate boy. But he loved and asked more.. I did twice.. It’s great. Love your cookies!!! Can this recipe be doubled or will it be too bulky for a stand mixer! These are the BEST! Hubby says better than sugar cookies, better than anything! I`m off to make more, this time a double batch! Thanks for the great recipe! I made these cookies today and they are wonderful. I have been baking for 50 years and finally I have found the perfect molasses cookie recipe. Thank you so much!!!!!!! 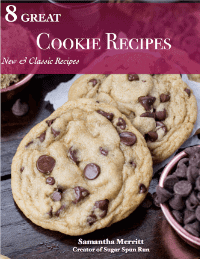 These cookies have quickly become a huge hit with the family! My father-in-law offers to change the oil in my car if I make a batch of these for him:) I have found that keeping them, and the kitchen cool, is key to a good cookie. When I quadrupled the batch, the last ones in the oven didn’t get the nice cracks on the top and were kind of flat. I now make sure to keep the dough cool and keep a fan running in the kitchen to move the heat and humidity out. Thanks for such a terrific recipe! My family has made these cookies as long as I can remember, and I’m 50 something? The same recipe EXCEPT my Grandmother made them thumb print style with raspberry preserves in the middle. They were always my favorite! Thank you for reminding me about these wonderful cookies and my childhood!!! Made these for a cookie exchange but I want to keep them all for myself lol! They are perfect! I just made these and they are on point. Nice and chewy and no one flavor is too overpowering. Just perfect! You are my sweet treat go-to lady. Thanks! Mine looked nothing like these and the taste was okay – not bad, but not great. No cracks on top – bummer. Followed recipe word for word not sure what went wrong or if something is missing from recipe. Oh no, I’m bummed to hear that, Karrie! What did your look like? Maybe I can help troubleshoot? Can the dough for these be frozen and baked later? I don’t think that would be a problem! I’d roll it and roll it in sugar and then freeze in a ziploc bag or airtight container. Made them and loved them. Thanks for such a great recipe! I love all of your cookies so I knew we would like this one too!